And while we agree, we would also describe it as AMAZEBALLS2011. All of the standards are there. Boy holding a My Little Pony in his class picture? Check. Big girl twirling a baton? Check! My personal favorite is Felipe. 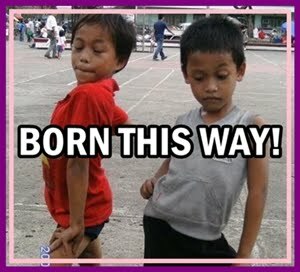 Do yourself a favor and go laugh at these gay kids. How often do you really get the opportunity to do that guilt-free? We can laugh because we were these kids. I submitted my own by the way. You’ll have to wait and see if it gets posted!